This simple recipe involves no cooking at all! 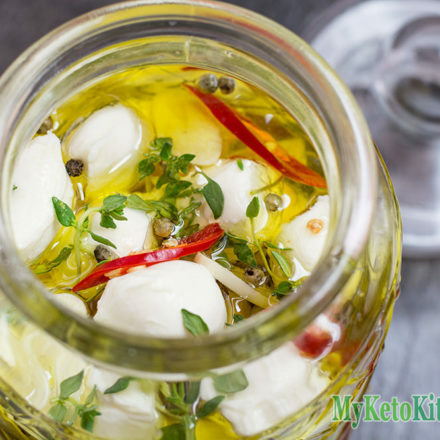 Our Easy Keto Marinated Mozzarella Cheese makes a great snack or addition to your charcuterie platter. It’s a great one to throw together to impress at your next game day party, family gathering or potluck. Or add it to your favorite salad, melt atop your keto pizza, or just eat it straight from the jar. 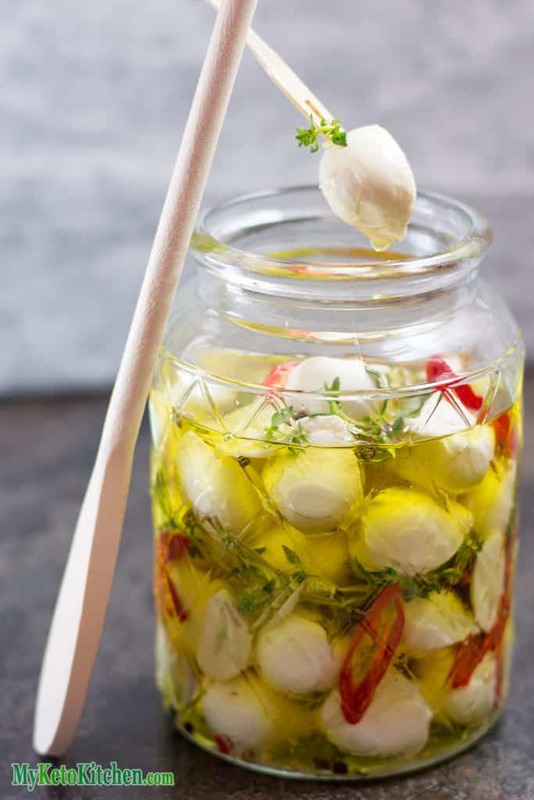 Be aware that the highest quality Olive Oils will solidify when chilled, you can combat this by using half Extra Virgin Olive Oil and half Light Olive Oil. Or just leave your marinated cheese out at room temperature for 30 minutes before digging in. We’ve made a few changes in calculating the nutritional information as a fair bit of the oil will be left in the jar once the cheese is demolished. You can use the remaining flavorsome oil in your favorite salad dressing or to saute your next steak. The recipe makes 10 serves. The serving size will depend on what size bocconcini or mozzarella pearls you use. The cheese can be stored in the fridge for up to 2 weeks or when the cheese reaches the use by date – just ensure it is all submerged in the oil. We add nutritional information to the base of every recipe, in the recipe notes section. If you can’t find it, you may be viewing our page through the very efficient “no frills” view. All you have to do is scroll to the bottom and click “View Non-AMP” and you’ll get the recipe and nutritional information in its full glory. 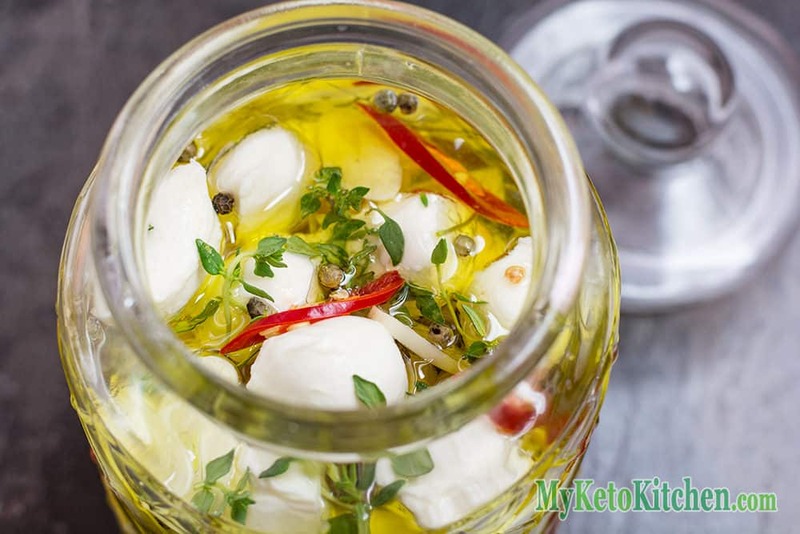 In a medium to large glass jar, add half the bocconcini and top with half of the thyme, peppercorns, chili and garlic. Add the salt and top with the remaining bocconcini, thyme, peppercorns, chili and garlic. Pour over the oil until all the ingredients are covered. Place the lid on the jar and give it a light shake to mix the ingredients. Store in the fridge for at least 2 hours to infuse, before enjoying. 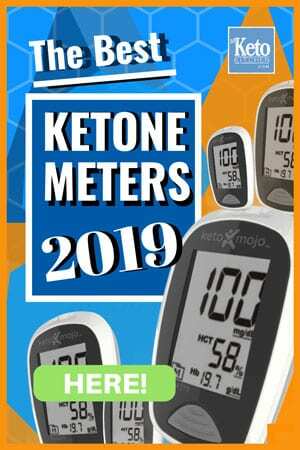 Do you work in the metric measuring system? It’s easy to switch the units from US imperial to metric with the drop-down menu on the recipe card below. 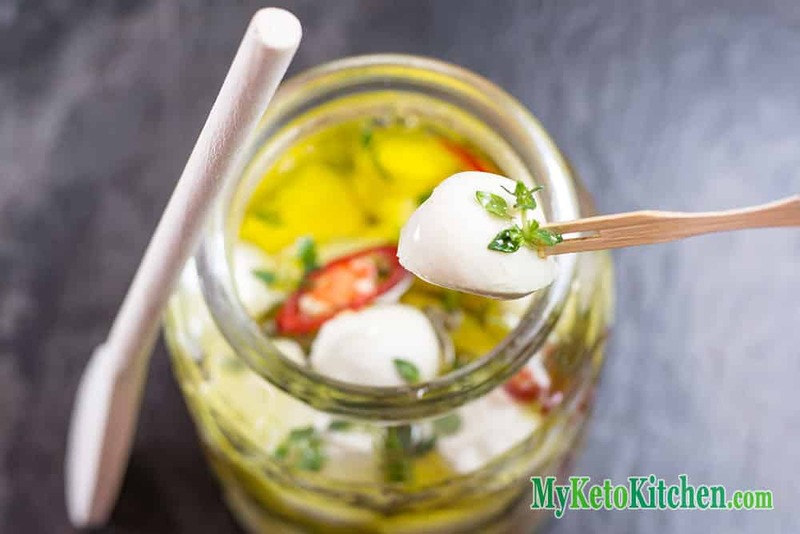 If you want to make a larger batch of Easy Keto Marinated Mozzarella Cheese, simply adjust the serving amounts in our easy to use recipe card below. The measurements and ingredients will adjust themselves, and all you have to do is follow the method. This looks great and colourful, Thanks for sharing this healthy, delicious one!!! Nice recipe, I love mozzarella, so I may be suspicious to be talking about how good it is, but still, thanks!